HOT32 Sphinx . We think this model represents a sphinx from Greek rather than Egyptian mythology and, unusually, this monster is depicted standing upright on its hind legs. 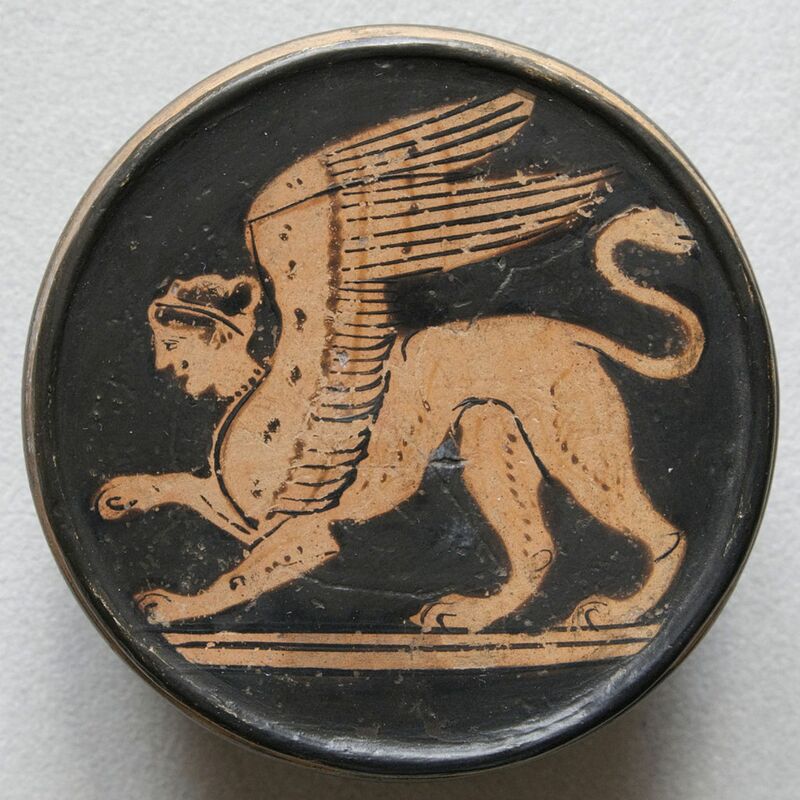 It has the head and torso of a woman with punk hairstyle, feathered wings, the claws and haunches of a lion and a spiked tail. Three piece casting. The model stands 45mm high and has a wingspan of 60mm. The textured base is 22mm x 12mm. 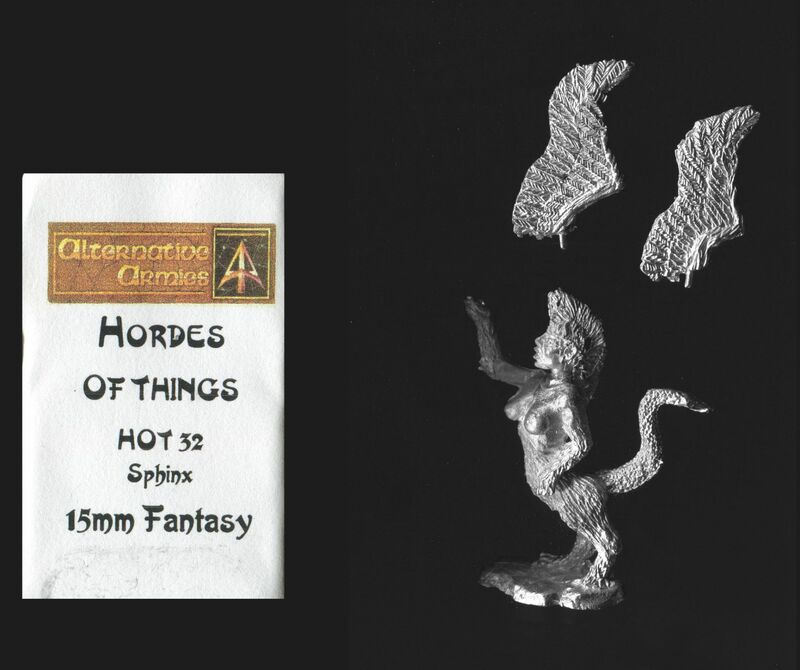 This model could be used as either a 15mm or a small 25mm/28mm monster. Supplied without the original packaging, condition of the model as new. 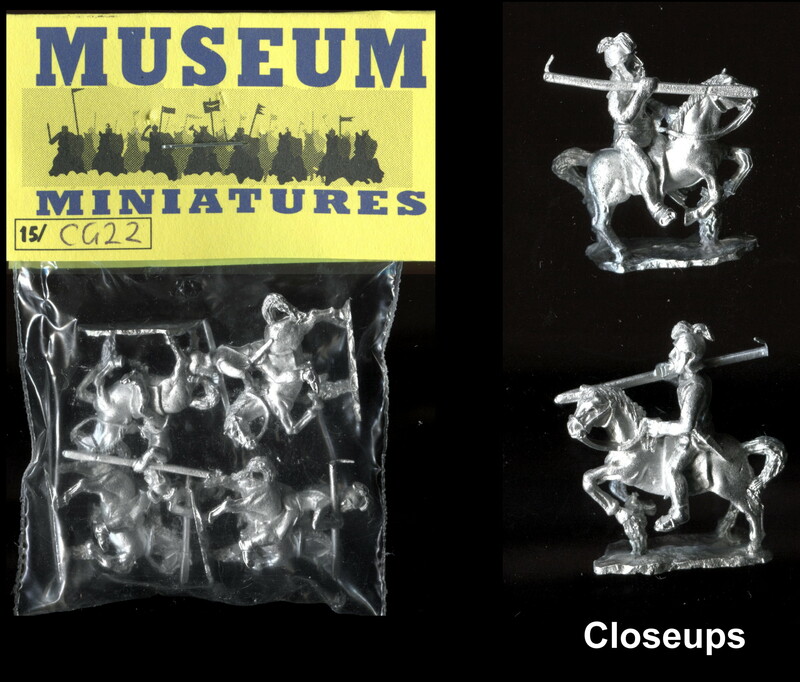 The picture of the painted model is taken from the Alternative Armies website, and the picture of the vase painting is taken from Wikipedia.